The smartphone has become a useful tool in shining a light on police abuse and overreach. Now, there’s a Siri shortcut that quickly readies your iPhone to record your experience with police during a traffic stop. The shortcut was created by Reddit user Robert Petersen of Florence, Arizona, who suggests having users place their iPhone in a dash mount while driving. Shortcuts is Apple’s new automation app for iOS 12, released just last week, to automate any number of workflows, from sending photos to family members to quickly activating smart home features. Countless users have taken to Shortcuts. 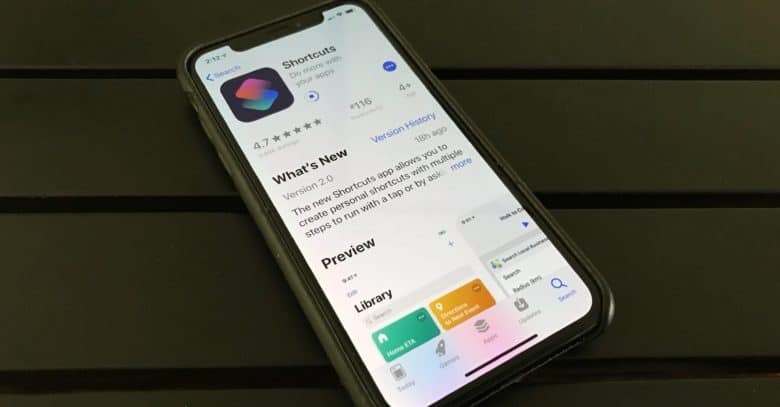 As soon as iOS 12 was announced and available in beta earlier this year, a developer launched the website Sharecuts to serve as a repository for shortcuts. A new subreddit for people to share their shortcuts already has grown a sizable following. 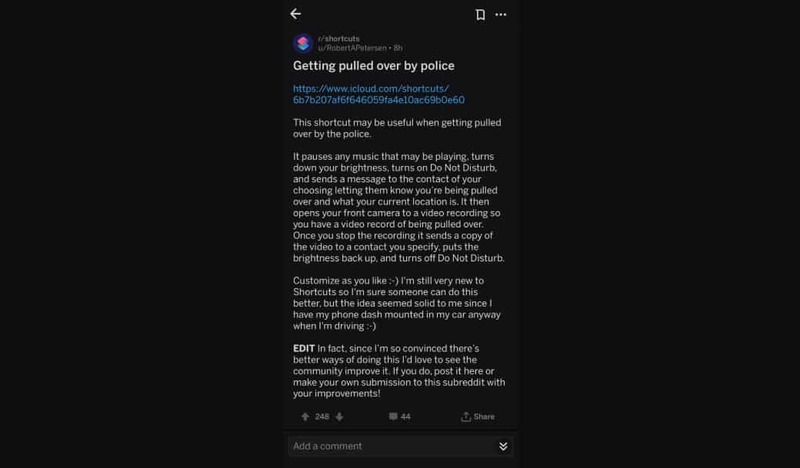 Petersen’s command “Hey Siri, I’m getting pulled over” will pause music if it’s playing, turn down the brightness, turn on “Do Not Disturb” and sends a message to a chosen contact. It then activates the video recording on the front camera. Once the user stops recording, according to Petersen, it sends a copy of the video to your specified contact. It also brings up the brightness and turns of “Do Not Disturb.” His shortcut already has drawn hundreds of comments on Reddit. You can get the shortcut here but Peterson believes it can be improved and is asking people to submit ideas to the Shortcuts subreddit. He already updated the shortcut to automatically upload the video to Dropbox.